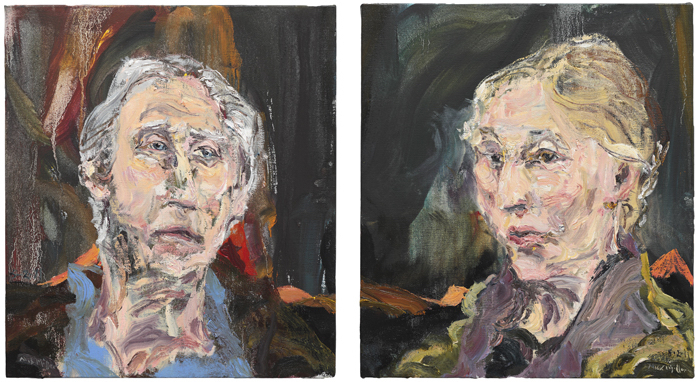 At Lewis Glucksman Gallery, Cork ﻿ An exhibition of 76 artworks by many of America’s leading post-war artists gifted to the Irish people by art historian Barbara Novak and artist Brian O’Doherty / Patrick Ireland. Post-War American Art presents paintings and sculpture as well as an extensive range of works on paper, including watercolours, drawings, photographs and limited edition prints and multiples. Works by Joseph Cornell, Dan Graham, Jasper Johns, Roy Lichtenstein, Robert Rauschenberg and a host of other celebrated artists feature in the show. The donation is particularly rich in works from New York of the 1960s and 1970s; many the result of friendships with outstanding artists from that milieu. 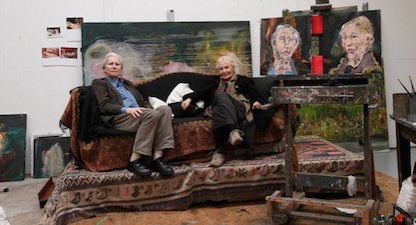 We can imagine the lives of Barbara Novak and Brian O'Doherty over 50 years through these paintings, photographs, drawings, sculptures and prints. Many works were swops with other artists or tokens of friendship, inscribed with dedications or personal notes; others reflect ongoing exchanges through postcards and letters. Works by Emma Amos, Benny Andrews, Stephen Antonakos, Elise Asher, Ay-O, Romare Bearden, Rae Blakeney, Marianne Boers, Varujan Bogoshian, James Brooks, Daniel Budnik, Phong Bui, Peter Campus, Christo, Chuck Close, Harold Cohen, John Coplans, Joseph Cornell, Allan D’Arcangelo, Marcel Duchamp, James Enyeart, Morton Feldman, John Goodyear, Dan Graham, John Harrington, Edward Hopper, Peter Hutchinson, Jasper Johns, Ray Johnson, Wolf Kahn, Ellsworth Kelly, Max Kozloff, Sol Lewitt, Les Levine, Roy Lichenstein, Joseph Mashek, Ann McCoy, Richard Merkin, Diana Michener, Arnold Newman, Barbara Novak, Brian O’Doherty, Betty Parsons, Robert Rauschenberg, Hans Richter, James Rosenquist, Mark Roeyer, Ed Ruscha, William Scharf, George Segal, Sonja Sekula, Mieko Shiomi, George Tatge, Ruth Vollmer and Adja Yunkers.